Hey everyone, so as our HOT Australian Christmas comes up, you’ll be wanting to make some lovely treats for the day. 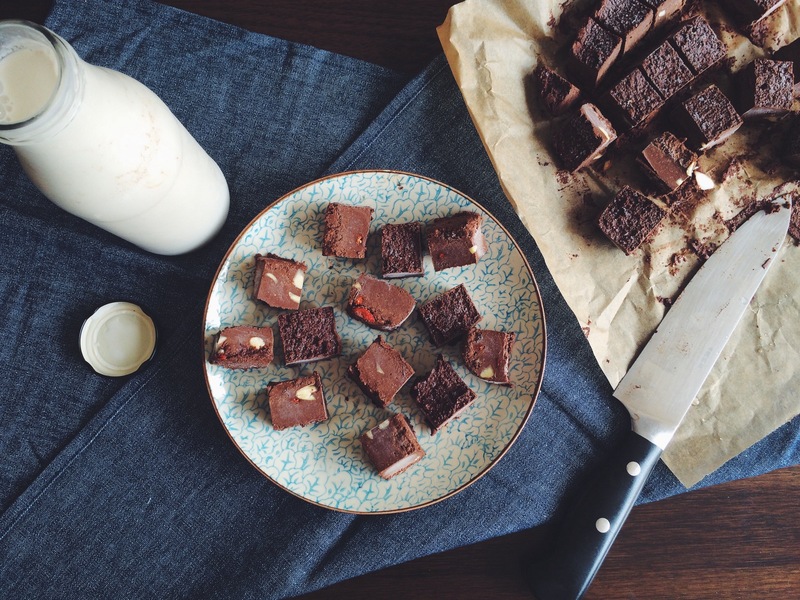 This fudge is frozen so it’s perfect for the scorching day. Plus it totally melts in your mouth. I make my own creamy almond milk and use the pulp to make this fudge which was genuis on my behalf haha. Get this fudge out when you want to serve it and don’t leave it out too long or it goes really soft. I added two shots of First Press cold drip coffee in this but you can totally leave it out of you like! If you don’t make your own almond milk you can also use almond meal just add a dash more liquid. Here you are my lovelies! Put all ingredients except the Goji berries and chopped almonds in a blender and blend until very smooth. You will have to scrape down the sides a few times. Mix in the almonds and berries and spoon into a container or tray lined with baking paper, smooth it out completely and put in the freezer for a few hours. Then chop up and serve! Enjoy!